The Golf. Pretty much the go-to hatchback when you’re looking for one. Well you can’t blame the general public, as the Golf is German and highly practical; powerful for its size and price confirms the deal. Want a fast Golf? There’s the Golf GTI. Need to go even faster? Say no more as the Golf R will definitely tickle your fancy. Want a big Golf? The Sportsvan is for you. Just want a simple Golf? The 1.0-litre Golf sounds like a perfect answer. Looking for a cheap Golf? Scour the used car market and you can choose from 6,753 different variants, cabriolet Golfs included. Or Eos. You should know where I’m getting at; Volkswagen’s sheer number of variants ensures there’s a Golf for everyone. Which is bad news for competitors, really. For example, Nissan tried last year with the Pulsar; that was short lived if you remember. Renault’s Megane hatch? It comes with a price tag that’s not wallet-friendly. 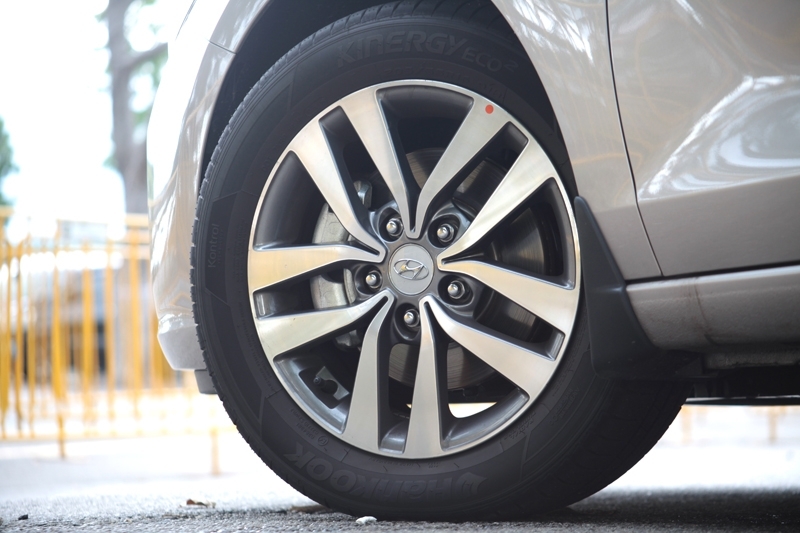 Oh lets not forget Ford’s Focus – somehow, it’s not doing as well as it should. 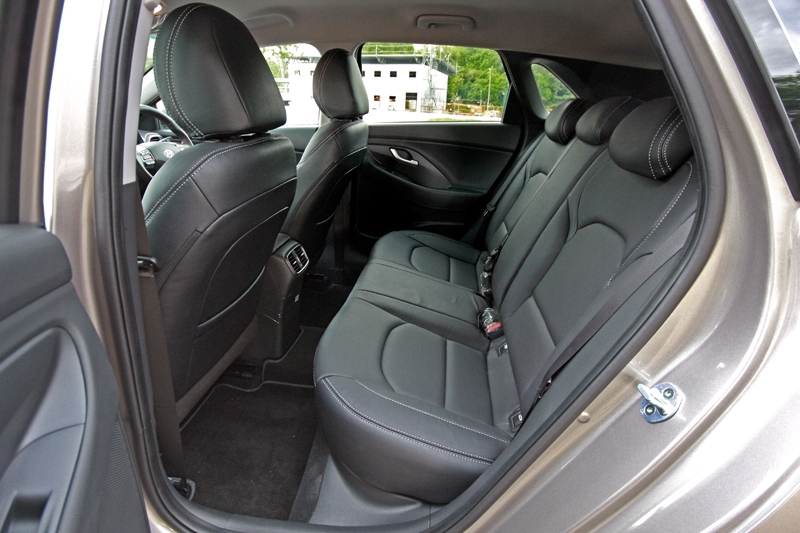 The Mazda 3 hatch is not a bad choice either – come to think of it, do you want to be mistaken as a PHV driver? 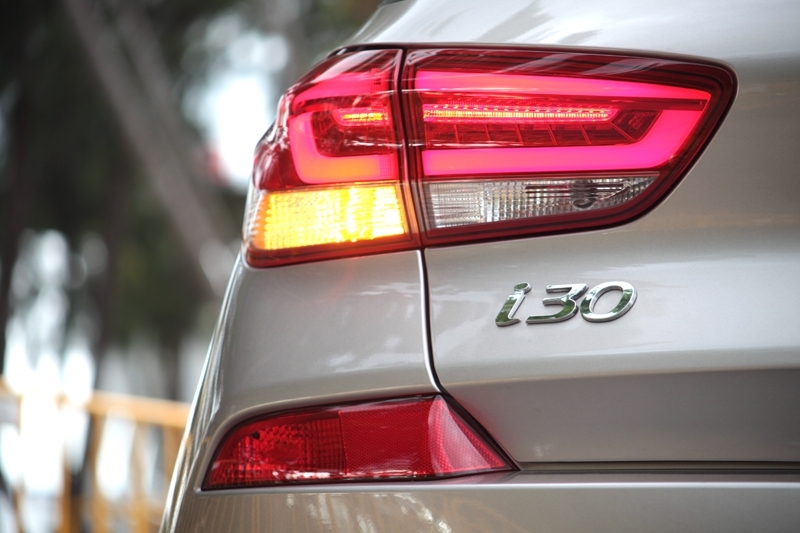 Opels’ Astra is another reasonable alternative to the Golf, but Singaporeans being Singaporeans, the badge is just ‘not so appealing lah’. Peugeot 308 is the closest to date at giving the Golf a run for its money, but it’s already 2018 and some changes are needed to keep it abreast. Seat’s Leon? Well, Singaporeans are badge snobs. Last but not least is Subaru’s Impreza hatch – with a 2.0-litre engine, not many people are willing to pay its road tax though. So some will opine that Hyundai was merely repeating Volkswagen’s tried and tested formula; you know, sizeable cabin, useful boot and a turbocharged engine under the hood, in one package. To a certain extent I do have to agree with that thought, but when you look at the price point, this i30 is already giving the Golf something to think about. 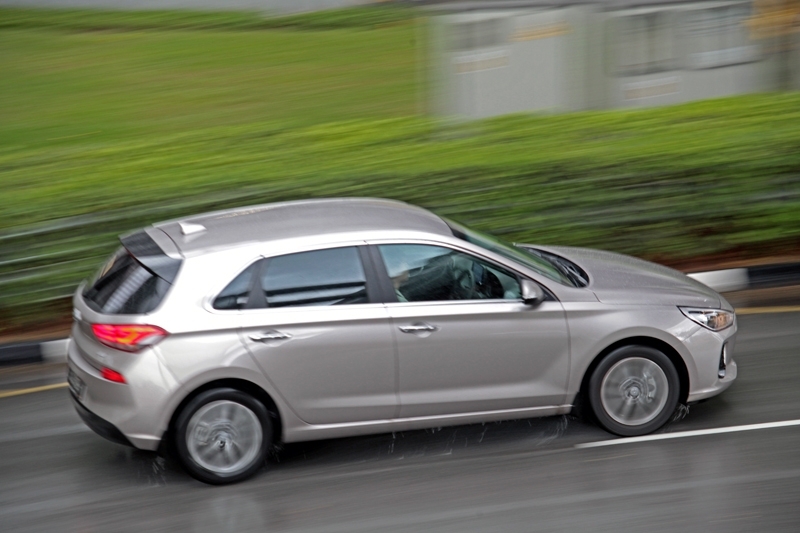 The i30 has a price tag of S$96,999 with COE; the Golf at S$96,400. A S$599 difference between the two with the Korean being the pricier one. 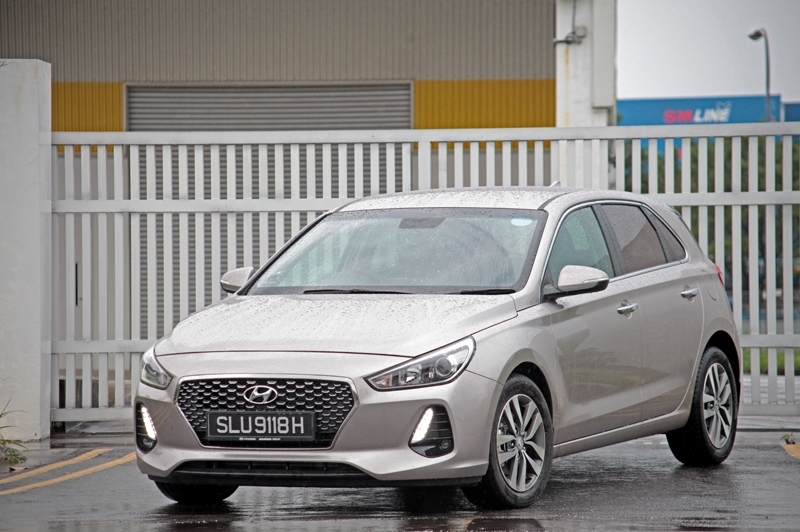 But do keep in mind that the i30 is 400 cc bigger and has one extra cylinder over the Golf; you’re paying only S$1.50 more, per cc. Hence making the price difference between the two even more insignificant, if you’re still trying to argue that the Hyundai is ‘overpriced’. Now that is over, lets get down to other figures. 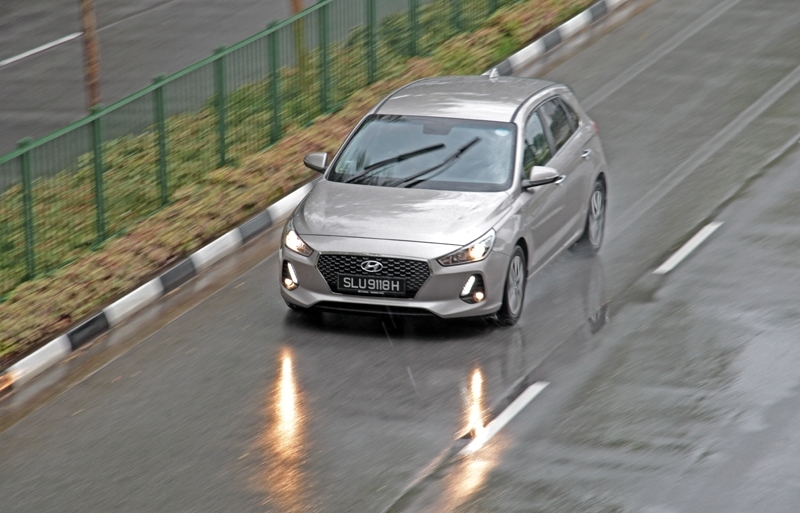 Powering the i30 is a 4-cylinder, turbocharged 1.4-litre ‘GDI’ powerplant that’s mated to a 7-speed dual-clutch transmission (DCT); yes you’re reading that right, the Koreans have adopted the dual-clutch automatic as well. With that, it produces 138 bhp and 242 Nm of torque, has a top speed of 205 km/h and does the 0-100 km/h sprint in 9.2 seconds. Of course, it’s a must to compare it to its German competitor; the 3-cylinder, turbocharged Golf 1.0 TSI on the other hand whips out 109 bhp, 200 Nm, has a 196 km/h top speed and reaches 100 km/h from standstill in 9.9 seconds. I can’t help but say this: Notice where the S$599 difference went? 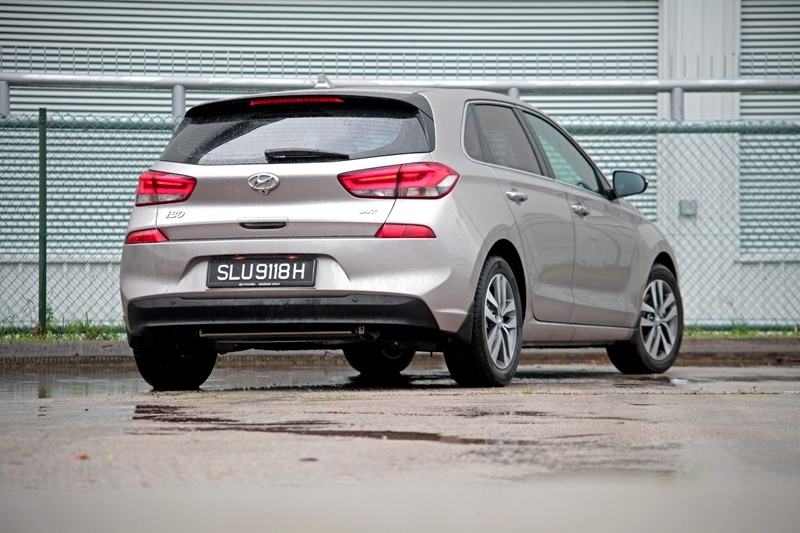 The i30 is not a hot-hatch, so all-out performance across the board is not its main task. 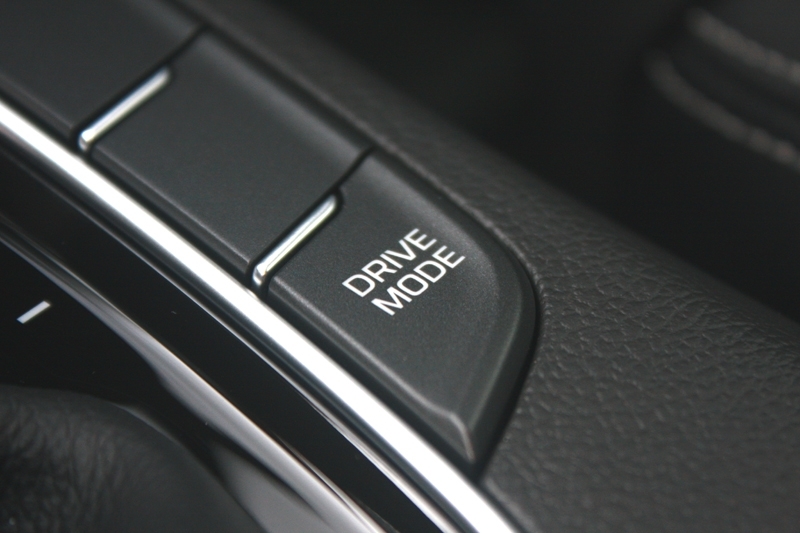 Having said that, you can feel the power creeping in the moment you see the needle get near the 2,000 rpm mark; from then on – if Sport mode is selected – all you’ll experience the engine's punchiness and how gladly it will take you way past the legal speed limit. 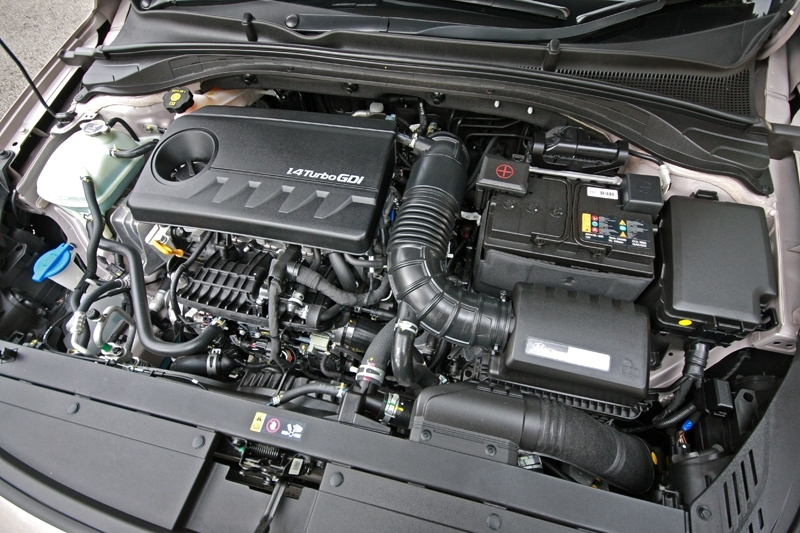 The engine note is not that bad either for a four-potter. But it’s not all rosy though. Firstly, it moves off the traffic light like any other 1.6-litre Korean sedan; not fast, no drama. 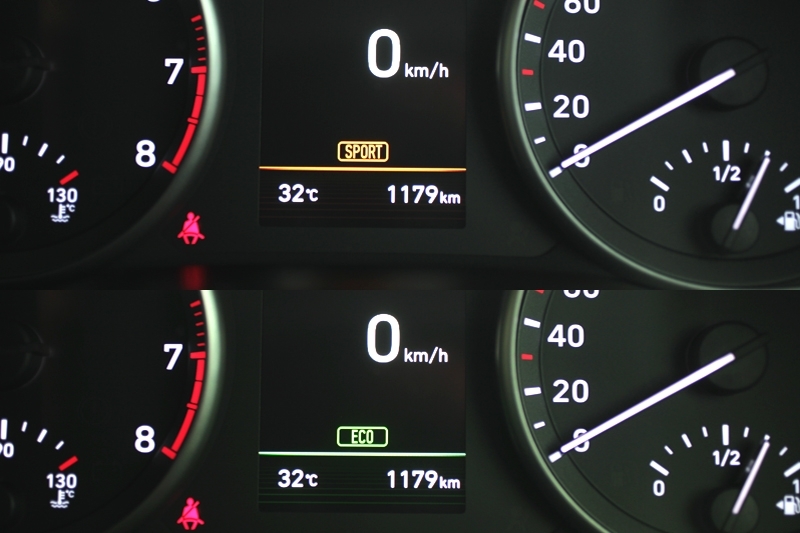 In comparison, you could get the Golf’s front two wheels spinning the moment you floor the accelerator. 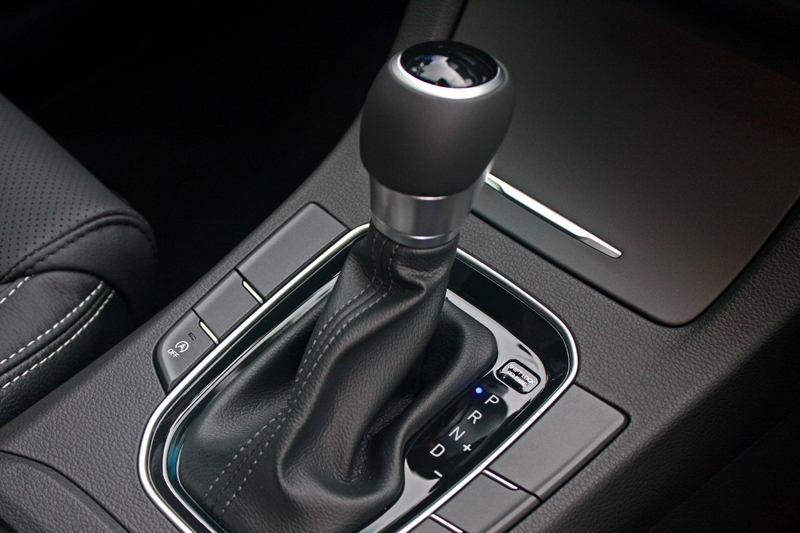 Secondly, the transmission can be caught in a daze - for no better word - in its first two gears: There’s that little lag from the moment you step on the accelerator until the car actually moves off in first. Then after, it will take that millisecond to disengage and then decide whether it should shift up or not. In this particular area, Volkswagen claerly has gotten the Golf sorted. When things are up and running, the i30 displays the sort of quality you’d normally see only in the Europeans. 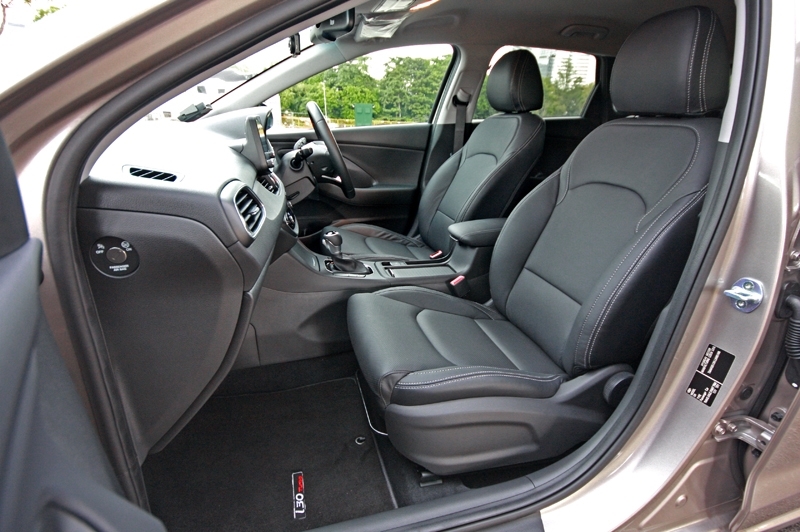 Cabin NVH (noise, vibration, harshness) level is a notch higher than its predecessor and on top of that, the suspension’s pliancy does not feel that far off the Golf’s. Then when you decide to be a little playful down a series of bends, you’ll notice how balanced the entire chassis is; mimicking the Golf’s sport/comfort feel. Not too stiff and not too soft, but just right. However, a little more weight on the steering would make it more complete. 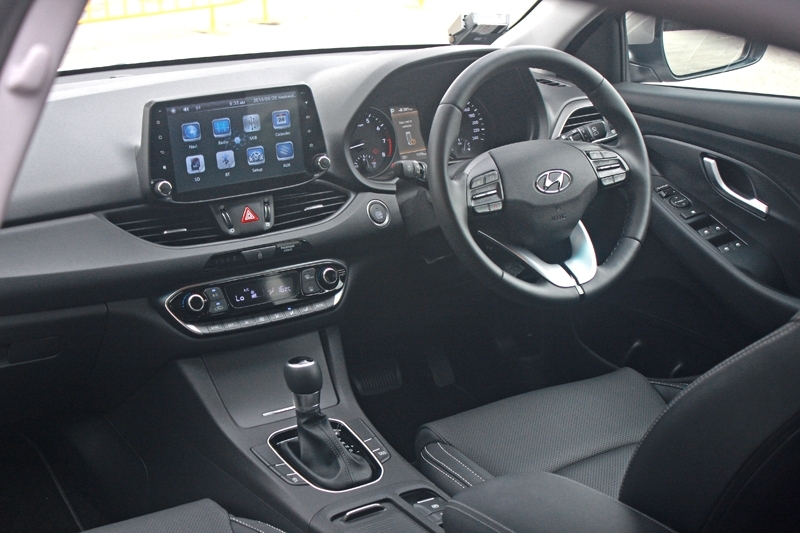 At first sight, the i30 impresses with an interior that gets the full ‘leathered-up’ treatment; namely the seats, door panels and steering wheel like your typical European. But scrutinize closer and you cannot escape how hard plastic are still employed on the dashboard and center panel; like any other Korean cars we’re all used to. This is a subjective matter after all, so to see it in a different light, you could say Hyundai went down the utilitarian route. 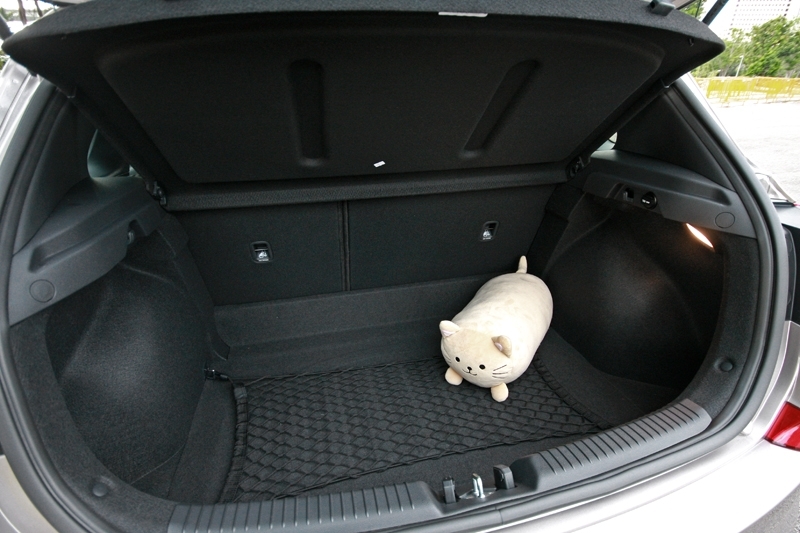 Hyundai had gone the extra mile here, providing an upmarket equipment list. You get wireless charging for your mobile phone, keyless entry, engine push start button, engine auto start/stop (the least favourite function in any car), electronic parking brake with Auto Hold, Hill Start Assist, selectable Drive Mode (Standard, Eco, Sport) and rear view camera. It also gets a 5.0-inch LCD screen, but it’s not exactly the best tool around; Bluetooth connection took a tad longer than usual, graphic resolution needs improvement and especially when reversing at night, the screen’s too grainy I ended up ignoring it. To say the i30 had beaten the Golf at its game is still not right as the Hyundai still need improvements. However personally speaking, the i30’s driving experience as a whole matches the Golf, and with the additional horsepower it has, gives it the performance edge. This is something buyers who want more oomph will fall for. Oh, the impressive standard equipment list deserves special mention too. But if cabin build quality and badge are the bigger priority, then the Volkswagen will still have the upper hand. At the end of the day, they’re different strokes for different folks.